Let’s take a look at a few examples shall we. A citizen brings to the attention of our Secretary of State Ruth Johnson that a fellow Republican may be holding office illegally because Senator Randy Richardville allowed his mommy to notarize his 2010 campaign finance discloser statement that was submitted in direct violation of notary and campaign finance law. The response and advice this citizen received from the Michigan Secretary of State on this issue was for this citizen to spend their own money, hire an attorney and file a charge with the local prosecutor within the county of notarization of said document. The local county prosecutor in this case is a Democrat that donated to Senator Richardville’s political campaign. The advice continued that if the local prosecutor found that if in fact a law was broken and a conviction was obtained, then and only then would the Michigan Secretary of State office take the necessary action. Let this sink in for a minute. Is it me or does anyone else see something very wrong with this. Another example would be the mortgage bill for the MIGOP chairman’s brother introduced by the same Senator mentioned above and rushed through the legislature that was passed and signed into law with lightning speed. Not only that, this bill was made retroactive to meet the needs of said chairman’s brother to avoid a financial obligation he made on a personal loan of a $2.4 million default on a real estate venture. The next example and believe me there are many others would be the Movie Producer and Film Studio subsidies. Bernie Made-Off would be proud of this one! 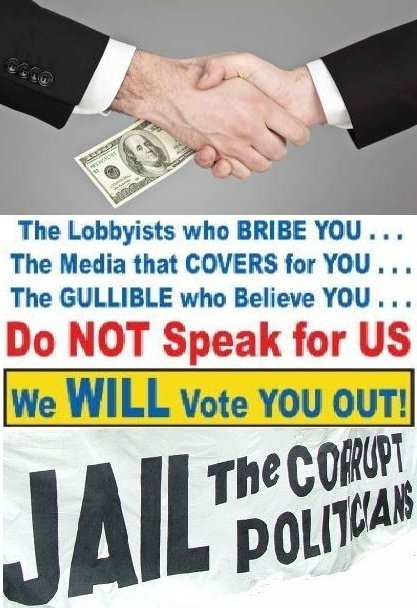 You have the involvement of corrupt politicians, businessmen and Democrat campaign contribution high rollers in this scheme that is fleecing the taxpayers of Michigan out of millions of dollars. Where is Michigan Attorney General Bill Schuette in all this? Isn’t this his job? Where is the so-called “Tea Party” leader that works for Mr. Schuette? Oh that’s right when your co-opted certain things seem to get overlooked! But then again these so-called Republicans protect their own don’t they! All these involved are supposed to be Republicans. Integrity and Principles yeah right!